Snapchat is the most fun way to share the moment! 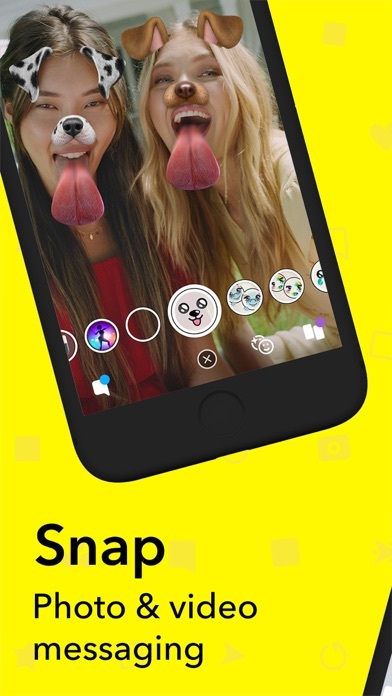 Take a Snap, add a caption or fun effects, then send it to your best friends. 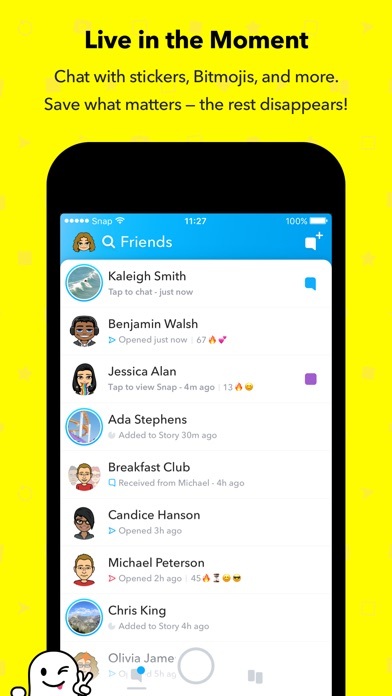 SNAP • Snapchat opens right to the camera so you can share the moment in seconds. 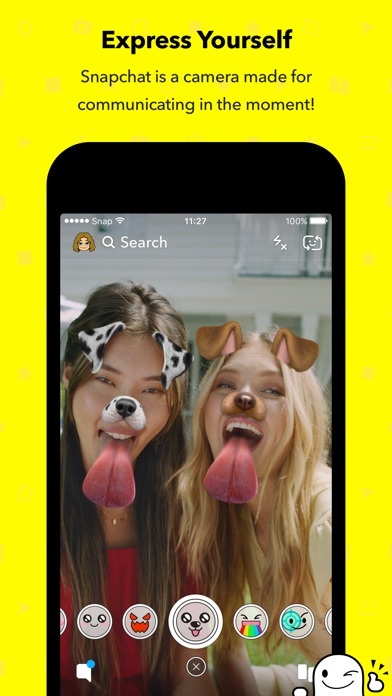 • New selfie Lenses and Filters are added every day. 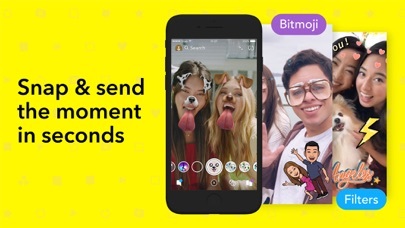 Change the way you look, dance with your 3D Bitmoji, and even play games with your face! 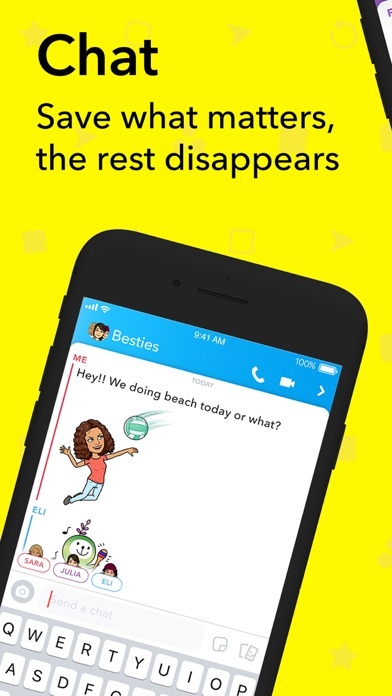 CHAT • Stay in touch with friends and groups with live messaging and Group Stories. 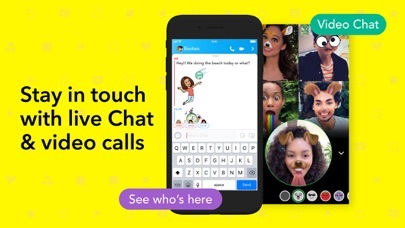 • Video chat with up to 16 friends at once. You can even use Filters and Lenses! 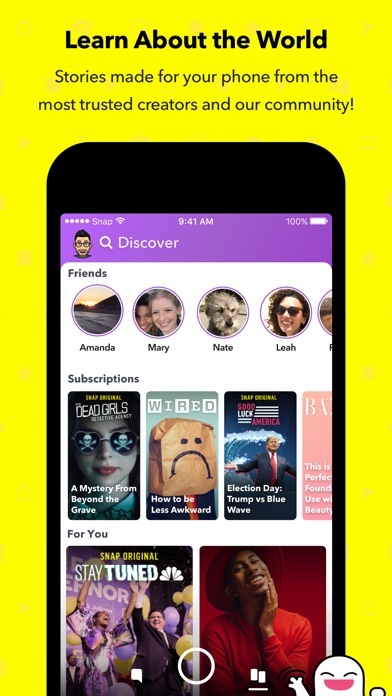 DISCOVER • Follow your friends and watch their daily Story. • Watch breaking news, original Shows, and community Stories — made just for your phone. 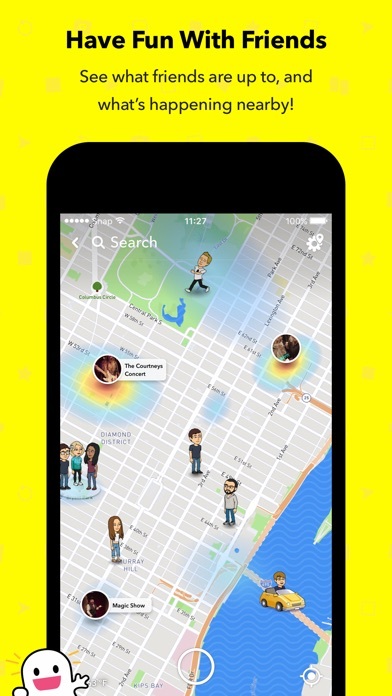 SNAP MAP • See where your friends are hanging out, if they’ve shared their location with you. • Watch live Stories from the community nearby, or across the world! 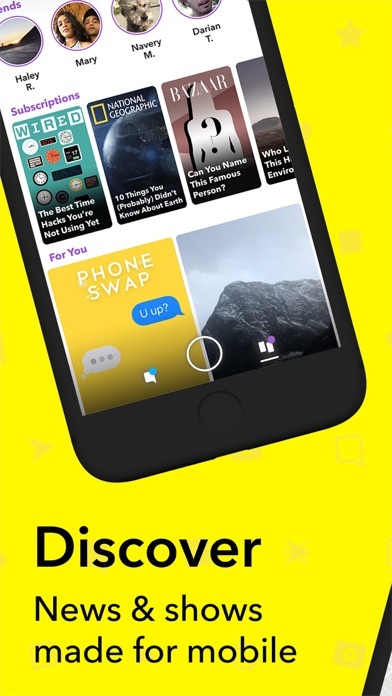 MEMORIES • Look back on Snaps you’ve saved with free cloud storage. • Create Stories from your favorite memories to share with friends and family. FRIENDSHIP PROFILE • Every friendship has its own special profile to see the moments you’ve saved together. • Discover new things you have in common with Charms. See how long you’ve been friends, your astrological compatibility, and more! Happy Snapping! • • • Please note: Snapchatters can always capture or save your messages by taking a screenshot, using a camera, or otherwise. Be mindful of what you Snap!